Rogier van der Zwaag is one of the first directors Halal started working with. Over the years Rogier has made some crafty, elaborate and time consuming music videos. Hence, looking at this beautiful new creation, premiering exclusively on NOWNESS, makes us incredibly proud of this one-of-a-kind artist and filmmaker. 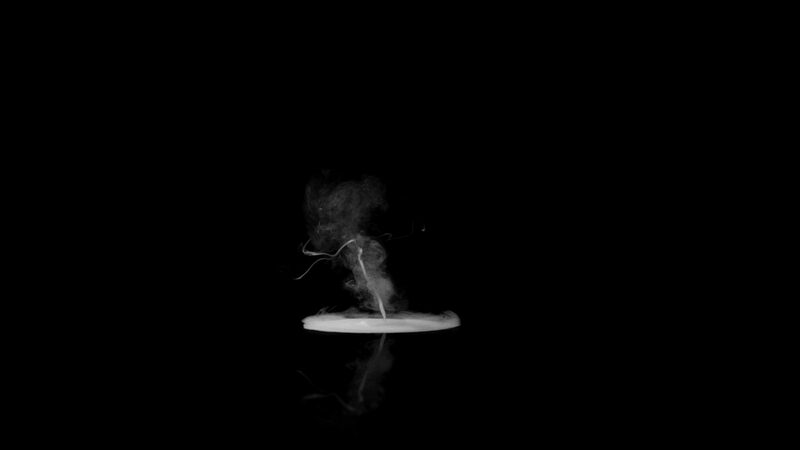 Sjamsoedin’s new music video “ORION” is a breath of fresh air, in which director Rogier van der Zwaag plays conductor to an imaginary orchestra of smoke, delicately dancing to the tunes of Sjamsoedin’s song. And so Van der Zwaag went on to create a choreographed storm, featuring two evolving bodies of smoke, blending and continuing alongside the stream, dancing to the music of Sjamsoedin’s ‘Orion’. The Amsterdam-based director acquired the technique for such an unusual undertaking by spending hours on end at obsessively studying vaporisers and ultimately teaching himself just how to control the smoke to his needs.